SelluSeller by Anchanto definitely isn’t a new idea that’s been successful in the SaaS startup ecosystem, but they’re definitely one of the most consistent ones. Founded in June 2011 in Singapore, Anchanto was in fact among the top startups in Echelon 2013, showcasing its SaaS solution to e-commerce sellers. Since then, Anchanto has grown into a 7 year-long business with products including E-commerce Warehouse Management System (WMS), Cross-Border Shipping, Global Fulfilment Service, and SelluSeller, which it claimed to currently serve close to 6,700 both enterprises and customers. The latter has been shared in details by Vaibhav Dabhade, the company’s CEO and founder. Taking the Software as a Service (SaaS) as a method to offer to its customers, SelluSeller provides the choice of managing multiple channels where you have your online store registered without having to update the system manually. The option is designed to support small business operations. “We tried to take off the load of managing the operation, allowing online sellers to just focus on selling,” said Dabhade about the purpose of SelluSeller. SelluSeller helps online stores owners to build a management system at a more reasonable price with easy features to follow through efficiently. Updating catalogue used to be a manual labor that is tedious. 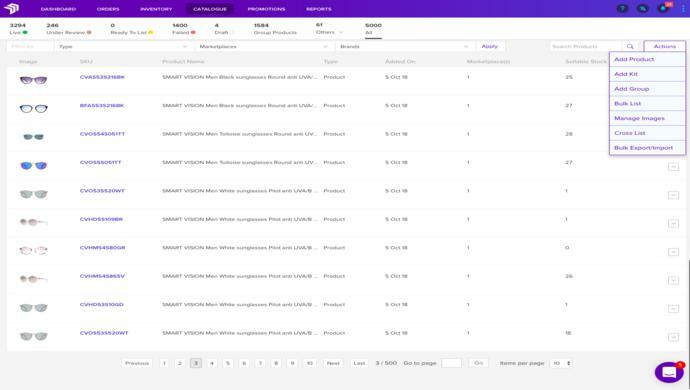 SelluSeller’s backend allows sellers to do a cross-listing, where sellers may bulk list, clone, update, create bundles, and kits to ensure the productivity and auto-launch in different e-commerce channels. A deck that ensures an overall view to the inventory stocks instead of the manual excel sheet. SelluSeller helps to minimize error in stock counts so that the number of products being offered is updated properly. Best performing products, stock values, sales overview, across all channels at one place. 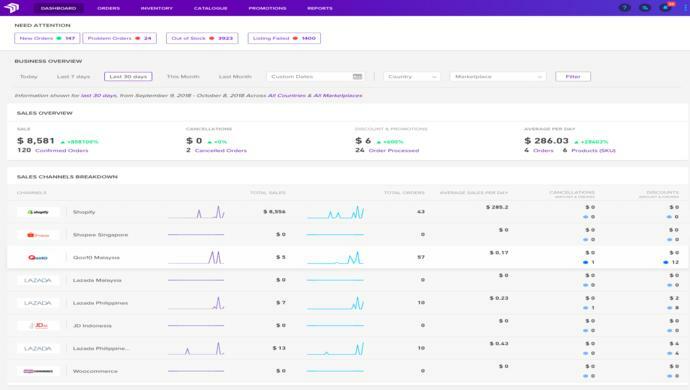 The dashboard allows viewing, editing, and syncing all orders from different channels, and keeping tabs on customer orders as the priority. Products promotion is also another option in SelluSeller to help users in pushing out offers timely by designing and scheduling the promotion. Measurable reports broke down in regions, brands, online shops, best-selling products and marketplaces to track daily sales growth to help in decision making and marketing strategy. SelluSeller’s original launcher Anchanto claims that it was created out of a niche in the digital logistic business. Focusing on e-commerce logistics and fulfillment, Anchanto built its first WMS in 2013 and quickly learned about challenges their customers faced in logistics department, fulfillment in particular. The first warehouse then was set up in Singapore the same year to assist their customers. “Anchanto is not an e-commerce, we are not a marketplace either. 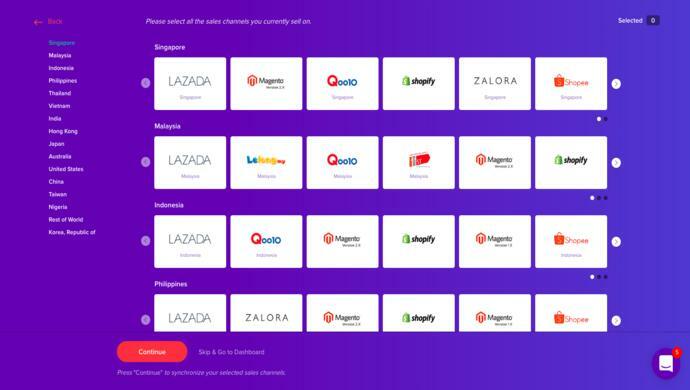 What we are is the provider of SaaS for e-commerce ecosystem,” said Dabhade, who suggested for interested users to get in touch with the company’s vast network of customer service in each country it exists for a thorough demonstration. The next year, the company that addresses its customers as Anchanter moves on to build a cross-border e-commerce tech to enable orders from Europe to Singapore. With the cross-border processing platform, Anchanto claimed to help its customers to cut manpower by 80 per cent with the elimination of intermediate processes. Continuing its fulfillment solution, SelluSeller then came into the picture in the same year with the concept of one-stop multi-channel selling. 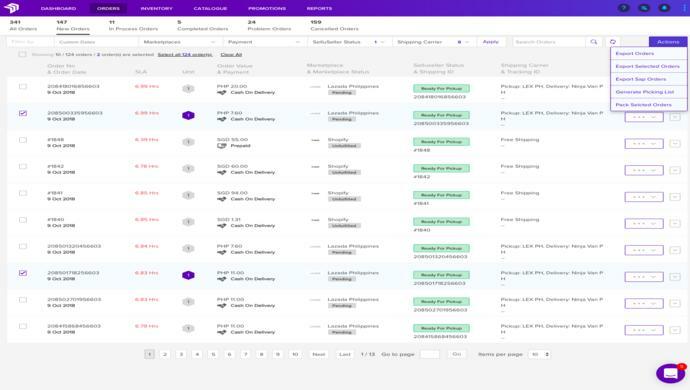 Joining the integration in SelluSeller for its customers to link their inventories are Qoo10, Lazada, Zalora, Snapdeal, Flipkart, Shopclues, Amazon, and eBay. SelluSeller ended up becoming the company’s most used products now, covering not only Southeast Asia marker but also the Asia Pacific. Not long after that, the company completed a Series-B funding by TSE-listed transcosmos inc. Japan. 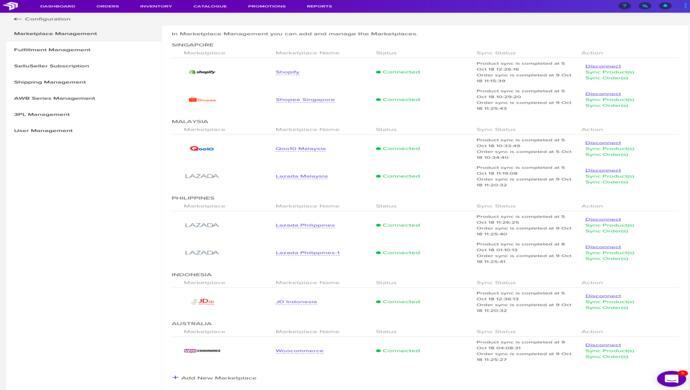 Fast-forward to 2016, SelluSeller has WMS with integration to local logistics providers in over 9 countries in Asia, most notably in Singapore, Indonesia, and India and more than 600 enterprise users are actively on it. Their clients include L’Oréal, 3M, Studio XII, Groupon, Levis, Crème Simon, Cluster-Cluster, Mums.sg, and RSI, and some European brands shipping to Singapore like ASOS, House of Fraser, Protein World and many more. The nearest expansion that is on the pipeline for Anchanto is to set up an office in Australia. Just this month Anchanto came up with a free platform targeting micro businesses so that even small retailers can benefit from the tools. 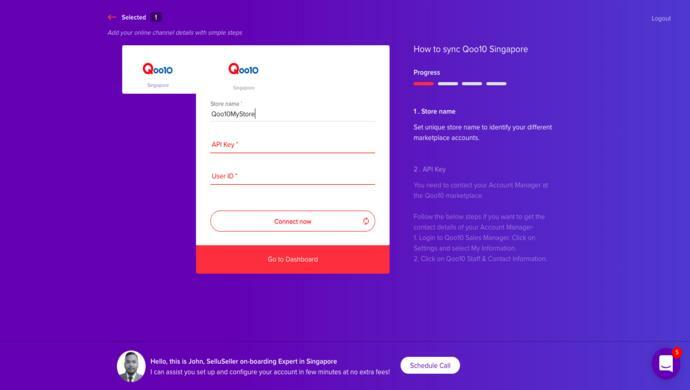 Currently, the company is in talks to integrate two local banks into the platform so users can get quick financing. In exchange for that, financial institutions can benefit from Anchanto’s knowledge of their customers in the region to help financial institutions make a calculated decision in financing. 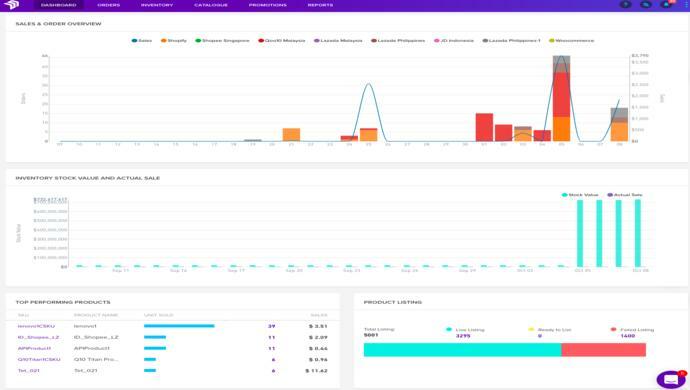 The post A peek into SelluSeller: an automated multichannel selling management system by Anchanto appeared first on e27.